The honours syllabus for Cogitative Dissonance Habituation is spread over three semesters. In the first semester students study the Egyptian Colossi of Memnon. The Colossi of Memnon are two massive stone statues of the Pharaoh Amenhotep III, who reigned in Egypt during the Dynasty XVIII. For the past 3,400 years (since 1350 BC), they have stood in the Theban Necropolis, located west of the River Nile from the modern city of Luxor. Including the stone platforms on which they stand – themselves about 4 m (13 ft) – the colossi reach a towering 18 m (60 ft) in height and weigh an estimated 720 tons each. Aspiring students are taught to unquestioningly accept that terrestrial gravity is [as it was in the beginning and will forever be] unwaveringly constant. They are also taught to believe the Colossi of Memnon are “too heavy to have been transported upstream”. The stones are believed to be too heavy to have been transported upstream on the Nile. Students are taught to ignore the evidence that the Nile Valley was once a tidal seaway with no upstream or downstream to worry about. In another victory for logistics over logic students are taught to believe the Colossi of Memnon [each weighing about 1,000 tons] were transported overland for 675 kilometres. The statues are made from blocks of quartzite sandstone which was quarried at el-Gabal el-Ahmar (near modern-day Cairo) and transported 675 km (420 mi) overland to Thebes (Luxor). 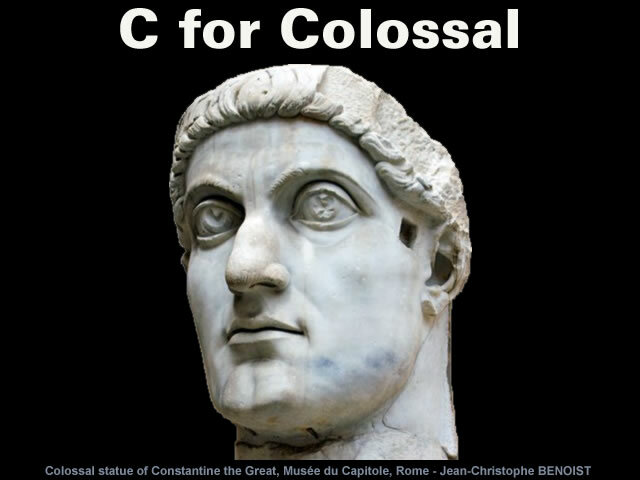 The weight of each colossus is enormous and totals about 1,000 tons. An earlier representation shows a colossal statue transported in seated position. The width of one colossus of Memnon is 5.4m; therefore the road should have been no less than 8m wide, considering that at least 1.0-1.5m must be left on each side of the statue to allow for protruding parts of rollers and sledges, by which the statue was moved. 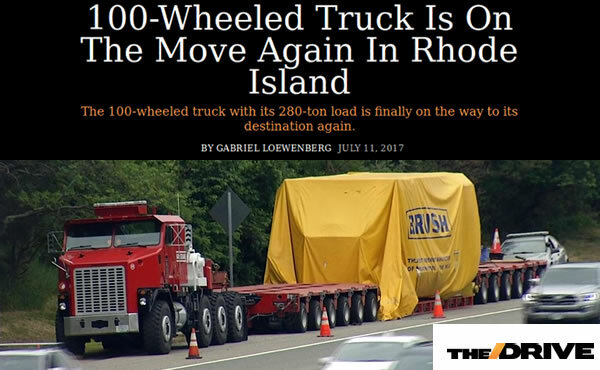 Hence, the second object of our search is a road at least 8m wide capable of bearing transportation of a statue weighing 1,000 tons. However, when a suitably 15 metre wide quarry “access road” is actually located at Gebel Gulab it’s disregarded because after 160 metres it “sharply” narrows “going down” towards the wadi. 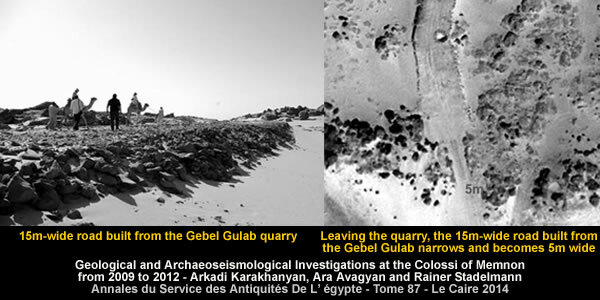 Apparently the entire quarry of Gebel Gulab was continuously used to extract small-sized blocks of quartzite. 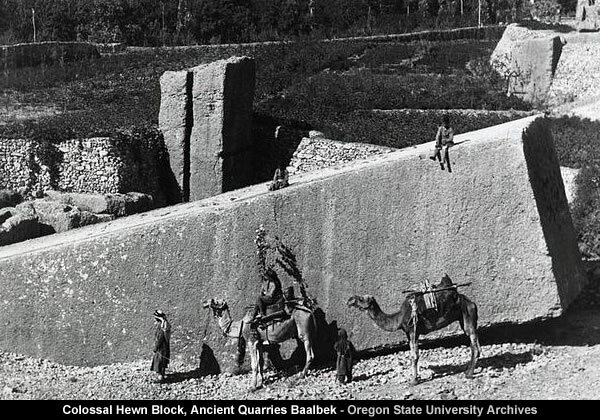 This quarry shows only one site of greater interest that could be a potential place for the extraction of colossi. On the eastern flank of the quarry, a half-finished quartzite obelisk still lies in an excavation; it is linked to a massive, 15m-wide access road, built of many courses of stones laid one on another. This wide and multi-tiered road structure could have made the site a suitable place to extract and transport colossi. However, two facts unequivocally argue for the contrary. 1) The road is 15m wide only over a short section of 160m, but going down from the quarry toward the wadi, it is on both flanks sharply narrowed with thick outcrops of quartzite bedrock and is not more than 4.8-5m wide in this place. 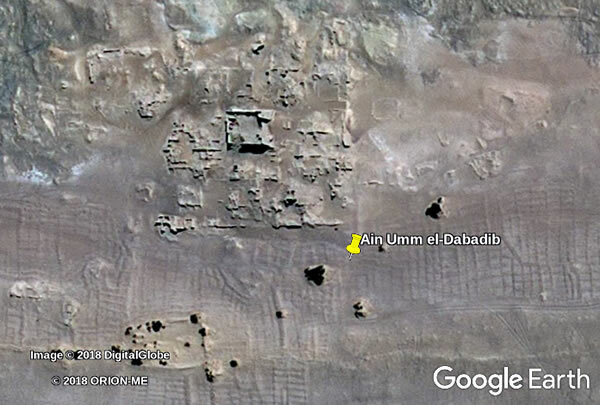 2) The excavation of quartzite to which the road leads is not more than 2m high, and was used to carve a small obelisk. 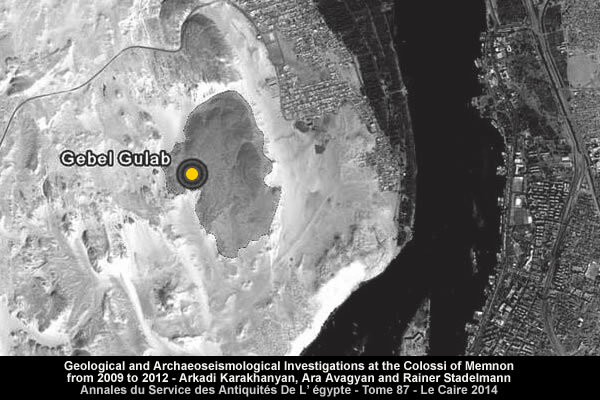 No sign of other excavations are found in a radius of 1km, with the dimensions required to cut the Memnon Colossi. Hence, we could not establish at Gebel Gulab any indications of infrastructure (roads) or marks of stone extraction to the scale required to produce gigantic statues like the Memnon Colossi. There is also no evidence to suggest that such indications could have existed earlier, but were eliminated by erosion or human actions. 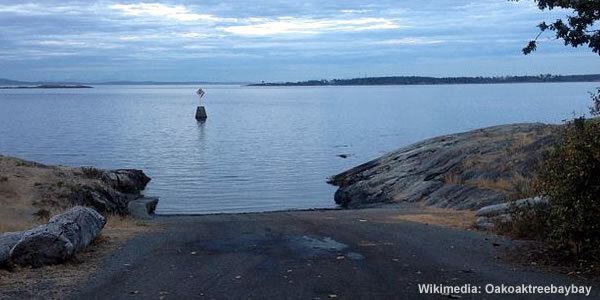 Tragically, the “access road” isn’t recognized as a slipway “going down” into water! Arguably, Gebel Gulab is the oldest known Roll-On/Roll-Off cargo facility in the world. A slipway, also known as boat ramp or launch or “boat deployer”, is a ramp on the shore by which ships or boats can be moved to and from the water. They are used for building and repairing ships and boats, and for launching and retrieving small boats on trailers towed by automobiles and flying boats on their undercarriage. Wadi, alternatively wād, is the Arabic and Hebrew term traditionally referring to a valley. The tragedy continues when students don’t stop to consider why the “Roman engineers” of Septimius Severus would repair the northern colossal statue of Amenhotep III. The blocks used by later Roman engineers to reconstruct the northern colossus may have come from Edfu (north of Aswan). In 27 BC, a large earthquake reportedly shattered the northern colossus, collapsing it from the waist up and cracking the lower half. Following its rupture, the remaining lower half of this statue was then reputed to “sing” on various occasions – always within an hour or two of sunrise, usually right at dawn. The sound was most often reported in February or March, but this is probably more a reflection of the tourist season rather than any actual pattern. The blocks used by the engineers of Septimius Severus to reconstruct the north colossus were shown by neutron activation analysis to have originated from a deposit other than Gebel el Ahmar. The students don’t dwell upon Septimius being an African fluent in the Punic language. Septimius Severus (Latin: Lucius Septimius Severus Augustus; 145-211), also known as Severus, was Roman emperor from 193 to 211. He was born in Leptis Magna in the Roman province of Africa. He spoke the local Punic language fluently, but he was also educated in Latin and Greek, which he spoke with a slight accent. Leptis Magna (also Lepcis, Berber: Lubta, Neo-Punic: lpqy) was a prominent city in Roman Libya. Originally a 7th century BC Phoenician foundation, it was greatly expanded under emperor Septimius Severus (r. 193–211), who was a native of the city. The ruins of Leptis Magna are located in Khoms, Libya, 130 km (81 mi) east of Tripoli, on the coast where the Wadi Lebda meets the sea. The site is one of best preserved Roman ruins in the Mediterranean. The students also don’t wonder whether their “typically Roman red and white banded masonry” in Egypt could be actually be typically Carthaginian-Berber. Babylon Fortress was an ancient fortress in the Nile Delta, located in the area known today as Coptic Cairo. The Romans built a new fortress nearer the river, with typically Roman red and white banded masonry. The Acueducto de los Milagros is the ruins of a Roman aqueduct bridge, part of the aqueduct built to supply water to the Roman colony of Emerita Augusta, today Mérida, Spain. And the students don’t ponder the possibility that the Carthaginian-Berbers decided to migrate lock, stock and obelisk to Europe when North Africa became parched desert. The Circus Maximus (Latin for greatest or largest circus; Italian: Circo Massimo) is an ancient Roman chariot-racing stadium and mass entertainment venue located in Rome, Italy. Sun and Moon cults were probably represented at the Circus from its earliest phases. Their importance grew with the introduction of Roman cult to Apollo, and the development of Stoic and solar monism as a theological basis for the Roman Imperial cult. In the Imperial era, the Sun-god was divine patron of the Circus and its games. His sacred obelisk towered over the arena, set in the central barrier, close to his temple and the finishing line. 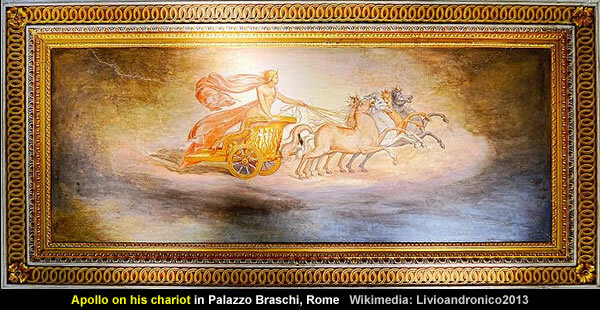 The Sun-god was the ultimate, victorious charioteer, driving his four-horse chariot (quadriga) through the heavenly circuit from sunrise to sunset. His partner Luna drove her two-horse chariot (biga); together, they represented the predictable, orderly movement of the cosmos and the circuit of time, which found analogy in the Circus track. In Imperial cosmology, the emperor was Sol-Apollo’s earthly equivalent, and Luna may have been linked to the empress. During the second semester students endure long periods of static stone watching. Behold gradual change for ever and ever and ever and ever. After these extended periods of stone watching students should automatically avert their eyes and suspend their natural curiosity whenever they confront monolithic masonry. A third ancient monolith… Its weight is estimated at around 1650 t, making it the largest stone ever carved by human hands. Whilst some stone columns were carved in one piece, as buildings became bigger, columns began to be constructed from separate drums. These were individually carved and fitted together using a wooden dowel or metal peg in the centre of the drum. Columns made from individual drums are remarkably resistant to seismic activity. 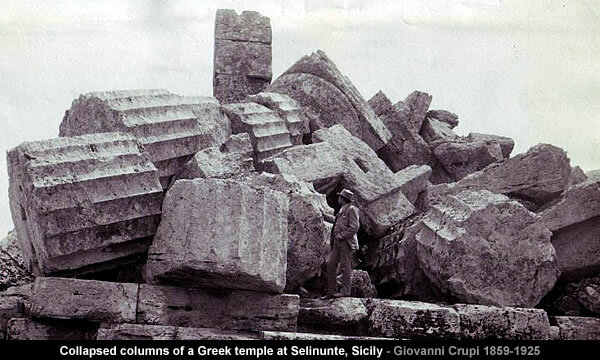 The elasticity provided by the possibility of fractional movements between drums means that the collapse of such columns is almost always due to other destructive forces such as high winds or weakening of the building through the removal of stone elements for re-use elsewhere, rather than earthquakes. Despite this advantage though, the Romans preferred single monolithic shafts for their columns. Selinunte was an ancient Greek city on the south-western coast of Sicily in Italy… The archaeological site contains five temples centered on an acropolis. Sadly, their aversion to monolithic masonry means they cannot recognize [or even accept] that Roman Chronology has been badly stitched together. By averting their eyes students fail to see the incongruous chronological seam that was created when Diocletian and Pompey’s Pillar were clumsily extracted from the 1st century BC. 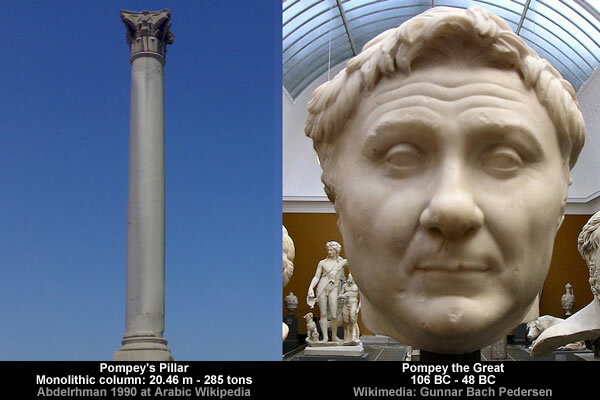 Erroneously dated to the time of Pompey, the Corinthian column was actually built in 297 AD, commemorating the victory of Roman emperor Diocletian over an Alexandrian revolt. Gnaeus Pompeius Magnus (106 BC-48 BC), usually known in English as Pompey or Pompey the Great, was a military and political leader of the late Roman Republic. Diocletian (Latin: Gaius Aurelius Valerius Diocletianus Augustus), born Diocles (244–311), was a Roman emperor from 284 to 305. However, this seraphic insertion deserves closer inspection because Diocletian is deemed to be the “most radical” of the 300 Year Repeaters. However, as this particular milestone appears to have been installed between 14 and 41 AD then the 200 Year Credibility Gap stretches out to become a 300 Year Credibility Gap which supports Gunnar Heinsohn’s concept of the 300 Year Repeaters. 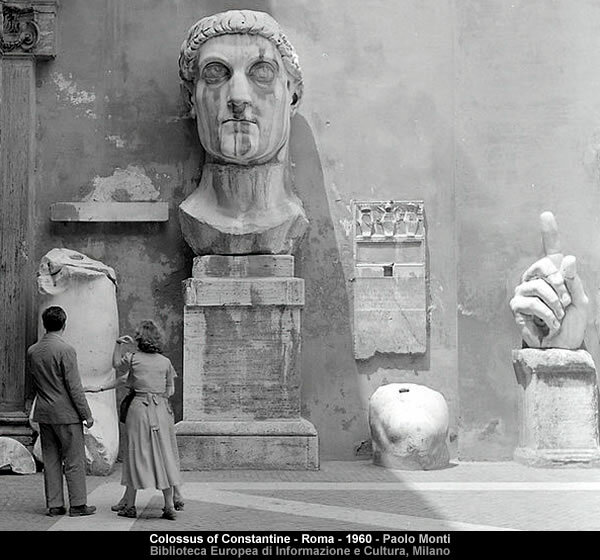 The final semester assesses the student’s ability to totally suppress their Cogitative Dissonance when confronted by the Basilica of Maxentius and the sculptured body parts that may [or may not] belong to the Colossus of Constantine. The Basilica of Maxentius and Constantine, sometimes known as the Basilica Nova – meaning “new basilica” – or Basilica of Maxentius, is an ancient building in the Roman Forum, Rome, Italy. It was the largest building in the Forum. Construction began on the northern side of the forum under the emperor Maxentius in 308, and was completed in 312 by Constantine I after his defeat of Maxentius at the Battle of the Milvian Bridge. 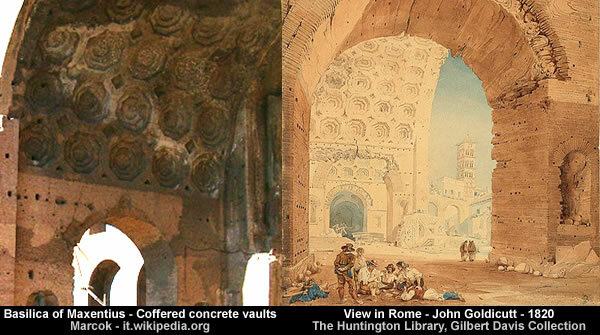 The building consisted of a central nave covered by three groin vaults suspended 39 meters above the floor on four large piers, ending in an apse at the western end containing a colossal statue of Constantine (remnants of which are now in a courtyard of the Palazzo dei Conservatori of the Musei Capitolini). The south and central sections were probably destroyed by the earthquake of 847. In 1349 the vault of the nave collapsed in another earthquake<. The only one of the eight 20-meter-high columns, which survived the earthquake was brought by Pope Paul V to Piazza Santa Maria Maggiore in 1614.
b) The “colossal statues of gods placed in Greek temples”. The great head, arms and legs of the Colossus were carved from white marble, while the rest of the body consisted of a brick core and wooden framework, possibly covered with gilded bronze. Judging by the size of the remaining pieces, the seated, enthroned figure would have been about 12 meters (40 feet) high. The head is about 2½ meters high and each foot is over 2 meters long. Like the colossal statues of gods placed in Greek temples, this statue of the Emperor was originally placed in the west apse (apse of the short end) of the Basilica Nova of Maxentius and Constantine in the Roman Forum. 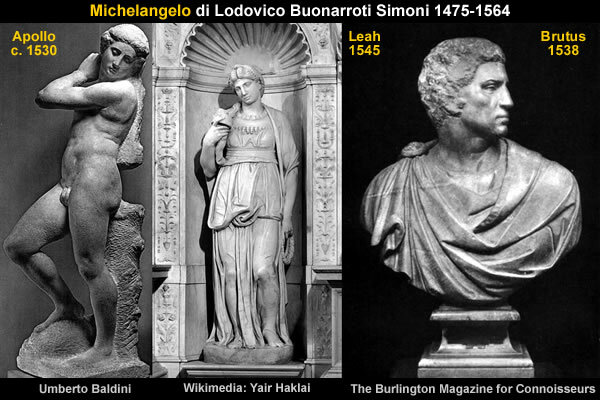 Students that have totally mastered their Cogitative Dissonance will not notice Michelangelo squirreling away sculptured body parts so they can be fraudulently “re-worked” and recycled [at some point] as revered Roman relics. The marble portions of the statue were brought to light in 1486. 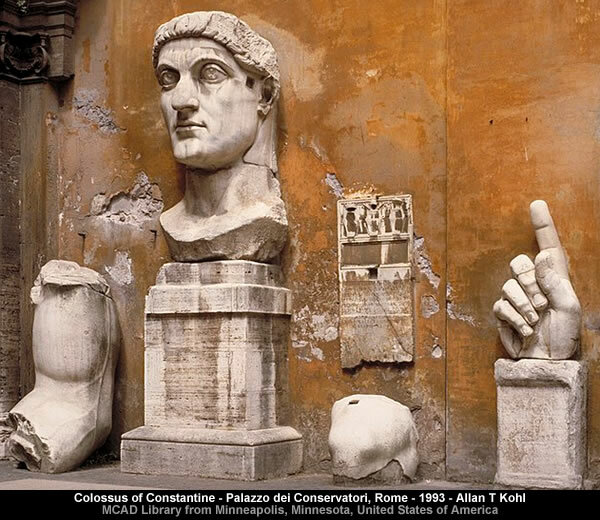 The surviving remnants were later removed from the Basilica and placed in the nearby Palazzo dei Conservatori Courtyard by Michelangelo, who was working in the area. Strangely there are two right hands (with upraised index fingers) amongst the remains of the statue, which differ slightly. It has been proposed that the statue was re-worked at some time late in Constantine’s reign and a hand holding a sceptre was replaced by a hand holding a Christian symbol. 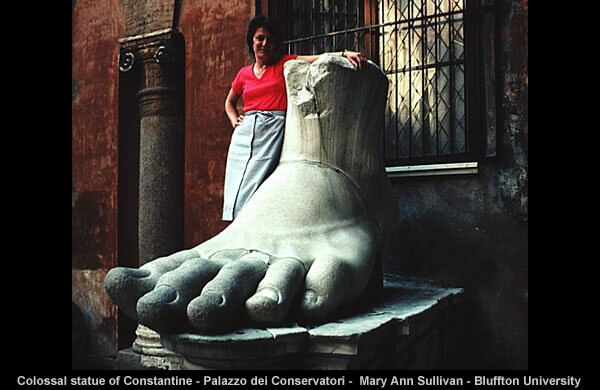 The seated statue to which it once belonged was more than thirty feet tall, that is, seven to eight times life-size. In addition to the head there are a fragment of the torso, parts of both legs and feet, the right arm, and, strangely, two right hands, slightly different from each other. All these parts were found in 1487 in the Basilica Nova in the Forum and transferred to the Capitoline Hill by order of Pope Innocent VIII. In the head we note a strong chin, a nose ridge even more pronounced than on the New York head, and once again disproportionately large eyes turned upwards. This leaves the independent researcher to wonder whether Pope Paul III also employed sculptors to [anonymously] advance the provenance, power and profits of the Catholic Church. Students that have totally mastered their Cogitative Dissonance will not notice the incongruous chronological seam that was created when the young, beardless Constantine was clumsily relocated from the 1st century BC. Jas Elsner notes that this work broke with the earlier precedent of depicting the authoritarian figure with a beard. Imperial Rome and the Christian Triumph: The Art of the Roman Empire AD 100-450. This development manifests itself more clearly in the medallions of Constantine on his arch in Rome. Although these medallions are recut spoils from monuments of Trajan and Hadrian they have a rather good claim on authenticity. They show a handsome and youthful emperor, with longer hair, and cleanshaven, in a break with previous tradition. 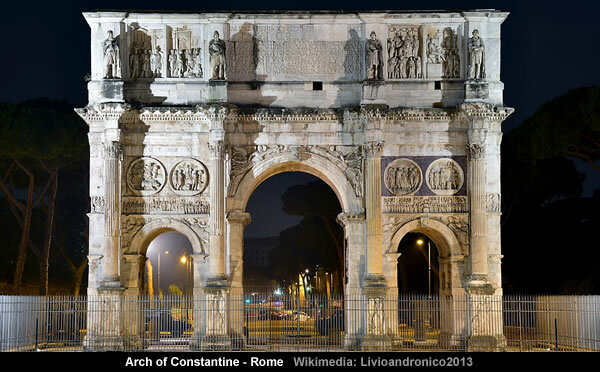 The Arch of Constantine is a triumphal arch in Rome, situated between the Colosseum and the Palatine Hill. The arch is heavily decorated with parts of older monuments, which assume a new meaning in the context of the Constantinian building. The four columns are of Corinthian order made of Numidian yellow marble (giallo antico), one of which has been transferred into the Basilica di San Giovanni in Laterano and was replaced by a white marble column. The pairs of round reliefs above each lateral archway date to the times of Emperor Hadrian. They display scenes of hunting and sacrificing: (north side, left to right) hunt of a boar, sacrifice to Apollo, hunt of a lion, sacrifice to Hercules. Numidia (202 BC – 40 BC, Berber: Inumiden) was an ancient Berber kingdom of the Numidians, located in what is now Algeria and a smaller part of Tunisia and Libya in the Berber world, in North Africa. And, finally, students that have totally mastered their Cogitative Dissonance will not notice the incongruous chronological wrinkles that were created when the “Solar symbolism” of Constantine & Co was “sporadically” sprinkled onto the storyline. Emperors portrayed Sol Invictus on their official coinage, with a wide range of legends, only a few of which incorporated the epithet invictus, such as the legend SOLI INVICTO COMITI, claiming the Unconquered Sun as a companion to the Emperor, used with particular frequency by Constantine. Statuettes of Sol Invictus, carried by the standard-bearers, appear in three places in reliefs on the Arch of Constantine. Constantine’s official coinage continues to bear images of Sol until 325/6. Sol is depicted sporadically on imperial coins in the 1st and 2nd centuries AD, then more frequently from Septimius Severus onwards until AD 325/6. Augustus was posthumously depicted with radiate crown, as were living emperors from Nero (after AD 65) to Constantine. Upon Constantine’s death four different types of consecration coin were minted. One of these is rather remarkable. It is a small coin of the type known as nummus centenionalis and is of billon, an alloy of copper and silver. It was issued by several mints in both East and West after Constantine’s sons had assumed the title of Augustus. Although other pagan iconographic features of consecration coins, such as the funeral pyre or the eagle, have been omitted, there is no break here with the pagan tradition: the emperor has become divus. On the reverse Constantine, dressed in a cloak, his right hand stretched out, is ascending to heaven on a quadriga, while the right hand of God (common enough in later Christian art) reaches out to meet him. While some Christians might have been reminded of the prophet Elijah’s ascent to heaven on a chariot of fire, most people would more readily have seen an allusion to Sol/Helios/Apollo riding on his chariot of the sun. Solar symbolism thus was employed in Constantine’s service to the end. Graduates in Cogitative Dissonance Habituation are [automatically] accredited academics. Gallery | This entry was posted in Arabian Horizon, Books, Catastrophism, Enigmatic Egypt, Epigraphy - Inscriptions, Geology, Gravity, Heinsohn Horizon, History, Inflating Earth, Roman Chronology, Uniformitarianism. Bookmark the permalink. 15th century and Ming Dynasty Zheng He’s enormous sea going junks visited Italy, according to Gavin Menzies. Enormous Chinese junks would fit in with other colossal artefacts. This period also correlates with the Little Ice Age event, that destroyed the Chinese fleets, among other things. New Zealand moas were also large, and extirpated during the LIA. Copernicus noticed a change in earth dynamics, that Galileo publicised, but got Bruno cooked. If Antiquity is a historical mess, then so too the Renaissance period and to that we need to look again at the LIA, keeping uppermost in our minds of the unwitting fabrication of official history, (the fake history fabricated at Senator John McCain’s funeral a couple of days ago). Except there’s not much archaeology for the LIA to embarrass the academics. Apollo is more likely to be the fifth planet, destroyed by Mars. Cain killed Abel. This was due to the passage of the charge imparted to Earth and then Mars, by the newly born Venus. Helios and Sol, not Apollo. “Asteroids”, actually planetary debris, is all that remains. Tests of age, based upon accumulation or loss of charge may eventually settle the issue of authenticity? In the meantime, I am more concerned by all these catastrophe and disasters. Until we have a trustworthy timeline, prediction is uncertain. Probably an intentional feature and not a bug. St Andrews Uni teaches Art history to Monarchs…..If any should be made aware of the true timeline, it is them? “Copernicus noticed a change in earth dynamics”. That is very interesting.